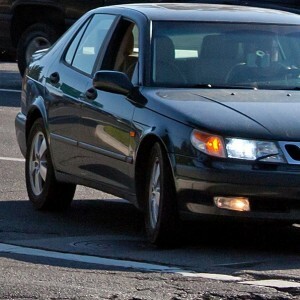 Standard Mileage Rate – The IRS provides a standard rate of 57.5 cents per mile. 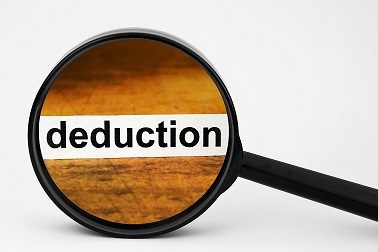 This deduction method is the easiest, only requiring accurate tracking of the mileage accrued. Deduct Actual Expenses – This requires a detailed mileage log that must contain details like purchased gas, vehicle maintenance, and repairs. Page 27-28 of the IRS Travel, Entertainment, Gift and Car Expenses Guide details expectations and proper logging. Hard Copy – Keeping a mileage log is a great analogue option. There are a variety of mileage log books available for purchase. This requires mindfulness though. You will have to remember to carefully track your mileage, and it may necessitate some re-training of vehicle habits. Digital Copy – There are a variety of different software options. MileIQ is one of the most popular available. It can automatically detect when you enter your vehicle, and at the end of a trip you simply swipe in what the trip was used for. Options include business, personal, and medical. This is a convenient and accurate option. What Qualifies for Business Mileage Deduction? Office Travel – Movement between one office or work site and another is deductible. Entertainment/Meals – Trips to meet vendors or clients for food or entertainment. Errands – Picking up supplies, mailing post, and going to the bank. Airport – Driving to or from the airport for a business related trip. Temp Job Sites – Driving home to a temporary job-site of less than one year. Odd Jobs – Driving to jobs such as lawn, pet, or child care can all qualify. Customer Visits – Meeting a client at their job site or business. Job Searching – Driving done while finding a new job in your occupation counts. What Doesn’t Qualify for Business Mileage Deduction? Commuting – When you are going to a permanent work location from your home it is considered commuting. A work location includes a principal place of business like an office, firm, company building, factory, etc. This includes any other place where you have or expect to work for over a year. Working while Commuting – Actions like work related calls, listening to instructional tapes, or discussing work with employees or associates does not change the trips status from commuting. Meeting with a client at your personal office is also still considered commuting. Home Office – Having a home office as a principal place of business or where most income, administrative, or management tasks are performed allows for deductions from home to a client’s office, business seminar, or to a second office. This is because the commuting rule is negated when no commute to your office occurs. Temporary Work Location – This includes travel to any location you expect to realistically work for less than a year. There are no exemptions if this location is outside your metropolitan area. If it is within it only applies to a regular work location away from home or an outside office. If a taxpayer cannot provide written proof of mileage and supporting evidence to back it up the tax court will disallow the deduction. It’s recommended that taxpayers get an oil change and/or a tire rotation at the end of the year or in early January. This shows 3rd party verification of mileage driven. Keep receipts from oil changes and tire rotations to back claims. These should be kept with their tax documents. If a taxpayer is without copies, they may request them from a mechanic. Now that you know how and when to track business mileage deductions, you may need an accountant during tax time. Call (480) 664-1249 or Contact Us today for tax filing, business consulting and much more.